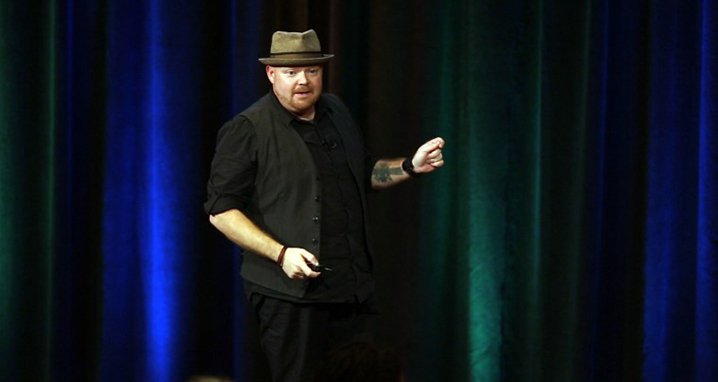 As Culture Evangelist at Zappos Insights, Jon Wolske is tasked with “taking the culture show on the road.” He brought his one-man show to the 2nd Annual Ultimate Culture Conference, going beyond the standard Zappos culture fare to take a deep dive into what makes the company a thought leader in culture. His enthusiasm led him to a new role as Zappos’ first tour guide. He helped build their tour process to support the infamous “wow” experience that drives Zappos. Tours at Zappos are now legendary, and they host more than 1,200 visitors every month. It might seem surprising that so many people come out to visit a functioning office, but as Jon said, “it's not about seeing what we do—it's about feeling. What does it feel like when you come on the campus? That's the best way to describe it. You walk into the lobby and there's a feeling.” This feeling comes, in part, from Zappos’ dedication to their core values, which present clear expectations to team members and business partners. Zappos realized that “you can’t formalize the past”—the autonomy and empowerment that was once present in the culture grew organically because it needed to be there. But they didn’t say, as many others do, “let’s get back to our roots.” They decided to take a hard look at their structure. Jon shared one of Zappos’ amazing wins, where the lead link for their Brand Aura circle partnered with their charity team. They worked with the Best Friends Animal Society to sponsor an “adopt an animal at Christmas” campaign, and Zappos picked up the fee for each adoption. It was a huge success that generated more than six million click-throughs to the Zappos website, won a charitable PR and marketing award, and resulted in 6,000 adoptions. How does your organization foster a "wow!" experience in the workplace? And have you considered an alternative organizational structure? We invite your thoughts and comments via social media. Visit our video library and join the Ultimate Culture Community to view Jon’s full presentation and receive access to all conference videos and updates on new posts. 1 Glaeser, E. (2012.) The Triumph of the City: How Our Greatest Invention Makes Us Richer, Smarter, Greener, Healthier, and Happier. London: Penguin Books. 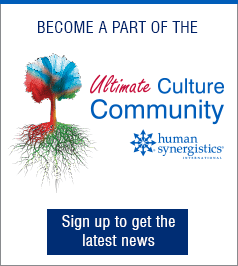 Meghan Oliver has spent 10 years in the field of workplace culture and leadership as a member of the Human Synergistics team. She specializes in documenting the change journeys of organizations across industries, as well as helping others understand Human Synergistics' processes and change solutions. Meghan also helps lead the Ultimate Culture Conferences, which bring hundreds of culture champions together to connect and learn from culture and leadership innovators. Her work has been featured by Nonprofit World, Switch+Shift, and PsychCentral.